What is a PCP & is it right for me? A PCP, or personal contract purchase, is a way of financing a new car. With monthly payments, it is similar in principle to hire purchase, but the amount paid each month is smaller. This is because instead of paying off the entire value of the car over the term of the agreement, the customer is only paying off the depreciation. Depreciation is usually the biggest cost associated with owning a new car. With a PCP, the customer gets the benefit of a new car without having to pay for the vehicle outright. 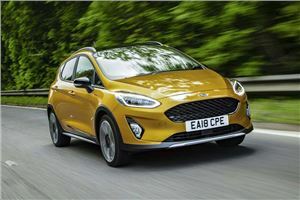 As the car will have an agreed value at the end of the term, the servicing schedule must be maintained, and there will be a cash penalty for exceeding an agreed mileage, typically set at 10,000 miles a year. If you usually change your new car every few years, a PCP could likely be the most cost effective way of procuring a car. If you typically keep a vehicle for longer or are a high mileage driver, then hire purchase could be a better way of financing it. The i10 may not be the most stylish or desirable model around but it's genuinely a brilliant small car. This deal with Arnold Clark is £149 a month and requires just £149 as a deposit. Just be aware that the annual mileage limit is fairly low at 6000 miles. Buying a car via a PCP scheme has become increasingly popular in recent years - but how do you know what you're being offered is good value? We've put together this list of PCP deals, which we think are the best value and often the cheapest. This list of PCP offers is updated regularly, but the deals are of, course, subject to change. PCPs aren't for everyone. If you're a high mileage driver or you want to own the car outright, you should take a look at our Cheap Car Finance Guide which outlines options that may be better suited to you. 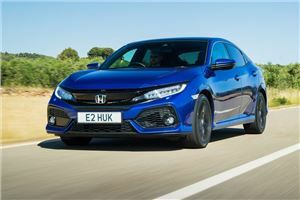 Spacious, well-built and good to drive, the Civic is one of our favourite hatches, thanks in part to the 1.0-litre turbocharged engine which offers a good mix of performance and economy. Although the APR is high, this deal comes with a Honda deposit contribution plus a large dealer contribution if you take a test drive. The Arona is an attractive and capable small SUV that is surprisingly spacious for a car of this size. There’s no deposit contribution on this SE Technology version but the small customer deposit, modest monthly and 0 per cent APR makes it a winner - there’s a £500 discount currently applicable too. 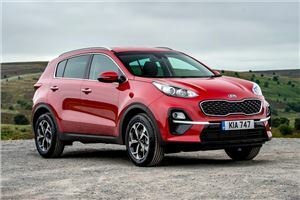 If you haven’t come around to the idea of picking a Kia on merit rather than price then it is time you got to know the Sportage. It ticks the important boxes by being big inside (but not too big outside), comfortable and well-equipped. This deal is for the 1.6-litre petrol which wouldn’t be our first choice of engine, but the low APR and dealer deposit contribution all help to make it a bargain. Will I need a credit check for a PCP? Yes. Like a loan or credit card application, a PCP is a form of finance and requires a credit check. Your credit score will not only determine whether your application is successful but also the rate of interest you are offered. The headline APR rates shown on adverts are 'representative' and a best case scenario for those who have an excellent credit rating. If you have a lower credit rating, expect a higher rate of interest. Another of our favourite small hatches, the Swift retains a sharp sense of style and fun driving experience, but the latest generation is more refined and efficient than before. This deal from Broker4Cars allows some customisation, and requires a modest deposit to achieve under £150 a month. 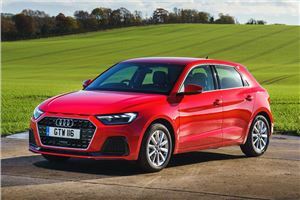 The latest A1 is better than ever and packs the classy cabin and refined driving experience into a compact shape that still offers reasonable space. There's a wide choice of engines and all are economical, so you can keep running costs down. Audi’s finance calculator allows you to set your own deposit so you can make it zero and just rely on the dealer contribution of £485. The standard Fiesta may not be available on an interest-free PCP, but the Active version is. 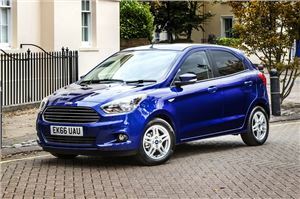 You get all the Fiesta goodness but with a higher ride height and softer suspension. It requires a small deposit of £350 thanks to a dealer contribution of £1500. 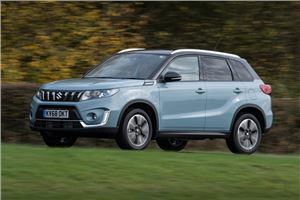 Suzuki's Vitara is a likeable compact crossover, with a willing and efficient 1.0-litre petrol engine and a good specification across the range. 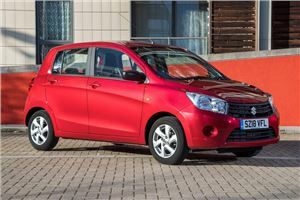 Suzuki has also pulled out all the stops on the finance front, as you can currently get this SZ4 model for £244 a month with no deposit and 0 per cent finance. Do I need GAP insurance with a PCP? If you're buying a car on PCP, chances are you will be offered GAP insurance at some point. But do you actually need it? Well, it's worthwhile knowing exactly what GAP insurance is because it might just work for you. GAP insurance can be a useful service for new car buyers, ensuring that you’re not left out of pocket in the unfortunate event of a write-off. People choosing a PCP will usually have to pay a deposit, followed by a monthly payment for the rest of the term. At the end, the customer has the option of buying the car by paying the outstanding value, often called a balloon payment, or taking out a PCP on a new car. The guaranteed future value is the mechanism upon which the deposit and monthly payments are calculated. 1How much does a PCP cost? A PCP is based around the length of time people usually keep a new car, typically three or four years. For example, if a car priced at £20,000 was offered on a PCP, the customer might be required to put down a 20 per cent deposit. The agreed value of the car after three years might be £7000. Therefore, the payments over 36 months would be the differential between the deposit and the guaranteed value of the car, which in this case is £9000. 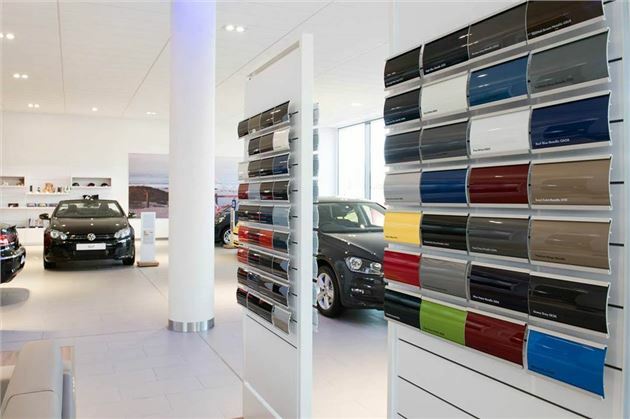 The monthly payments would then amount to £250, and at the end of the term, the customer could choose to pay the agreed future value of the car (£7000) to buy it outright, or decide to choose another car on PCP. For a £15,000 car on a four-year PCP, with a guaranteed future value of £3600 after a 20 per cent deposit (£3000), would require 48 monthly payments of £175. These examples are simple calculations based on no interest payments on the finance, but it’s likely that interest could apply. 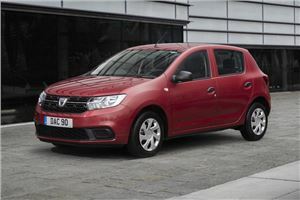 Therefore the total payments, including the final balloon payment, would exceed the total value of the vehicle when new. 2Who owns a PCP car? The finance company rather than the customer owns the car, unless the finance is settled at the end of the term if the customer pays the balloon payment. But as almost all cars depreciate as soon as they leave the forecourt, it’s easy to see the appeal of not owning such a high-value depreciating asset. PCPs are usually offered by manufacturers’ own finance companies, and are often given a specific name by the individual brand, such as Volkswagen Solutions, Ford Options or BMW Select. 3What happens at the end of a PCP? At the end of a PCP term you have three options. Pay the balloon payment and take full ownership of the vehicle, hand back the car and walk away, or start a new agreement using any equity in the car as a deposit. This additional flexibility allows you to postpone committing to buying the car outright and gives you the freedom to change. What if I want to buy the car? This is the most straightforward option at the end of a PCP, as the final balloon payment will have been agreed when you took out the finance. Generally the balloon payment will be due 30 days after your regular monthly payment. If you want to go ahead and buy the car then simply make the final balloon payment and the car is yours. Make sure you receive the documentation so you can ensure the V5C is in your name. If you don’t have the funds available in order to purchase the vehicle outright you could take out a loan for this amount or your shortfall so you can still purchase the car. What if I want to return the car? If you do not wish to purchase the car for any reason and want to simply return it and walk away, you need to notify the supplying dealer that this is your chosen course of action. It is important to note that if you choose this option you should have abided by the terms and conditions set out initially, which in most cases are a limited total mileage, regular servicing and good condition of the vehicle within fair wear and tear guidelines. If any of these conditions have not been met you will be faced with financial penalties if you wish to hand the car back. If the car has been damaged it is not essential for you to use the supplying dealer to make any repairs, so you can look elsewhere for a better deal. Assuming these conditions have been met, and you are up to date with the monthly payment schedule, you can simply hand the car back and walk away. It is worth bearing in mind however that if the value of the car is more than the balloon payment then you will be giving up this equity, and your monthly payments will have effectively paid for the vehicle’s rental. What happens if I want a new car? If you have some equity in the vehicle at the end of the term - where the balloon payment is less than the current value of the vehicle - this puts you in a strong position if you want to get a new car with a new agreement as this equity can be used as a deposit, cutting your future monthly payments. If you are trading the vehicle in the same conditions apply regarding mileage, servicing and condition. If the car doesn’t meet these criteria its value is reduced, so you will need to pay penalties in order to trade it in. Even if this is the case you do not have to return to the same dealership in order to start a new agreement for a new car. Another dealership can purchase the vehicle from the finance company to release the equity for a new deal, so you still have the freedom to shop around. 4What if you want to end a PCP early? It is not possible to cancel your PCP before the end of the agreement and simply walk away, although there are ways in which you can bring the agreement to an end or try and make life easier for you. Voluntary termination is a legal right afforded to consumers by the Consumer Credit Act 1974, giving you the option to terminate a PCP or HP agreement. This can only be exercised by you if you have paid 50 per cent of the total amount payable, or you pay additional sums to reach this point. Finance providers and dealerships aren’t keen on consumers using this method as it frequently means a loss for them, but provided you have fulfilled the required criteria then it is absolutely your right to do so. A voluntary termination does not damage your credit score either, although it is worth bearing in mind that if you apply for car finance in future the voluntary termination may affect your acceptance. 1. You must have repaid 50 per cent of the total amount payable. This figure will be included on the paperwork when you took out the finance, and includes the final balloon payment, interest and fees. It is not the halfway point of the agreement; because the balloon payment is large, the point at which you have paid 50 percent of the total amount payable tends to be near to the end of a PCP. 2. The vehicle is in good condition and there is no damage other than fair wear and tear. If you are struggling to meet your payments and voluntary termination is not an option, contact the finance company (check your paperwork for the details) and explain to them your situation. Financial institutions have a duty to assist you if you are in financial difficulty and they may be able to rearrange the agreement or accept reduced payments for a period so you can get back on track. It is far better to contact them to keep them informed and ask for their help than burying your head in the sand and missing payments. This will damage your credit rating which will have implications for years to come. Another option is to settle the agreement early. You can contact your finance company and ask for a settlement figure, which will be less than the total amount payable depending on where you are in the term as the amount of interest you pay is less. If you can pay the settlement figure the car then becomes yours, allowing you to sell it on immediately or keep it if you choose to do so. 5PCPs: What else should I know? It is important to read and understand the terms of the agreement before signing. Any interest or fees would mean a higher amount would ultimately be paid than the monthly payments, and there are other costs associated with running a car which will not be included in the PCP, such as fuel, servicing, maintenance and repair, and insurance. Cars with strong predicted residual values will often have a higher guaranteed future value. While this might make them a bit less affordable at the end of the terms should the customer decide to buy the car, it usually means modest monthly payments. It also means cars such as the Volkswagen Golf, Mini and BMW 3 Series often have attractive PCP rates. We've suffered negative equity on our current PCP scheme - should we hand the car back and walk away? We've had four Toyota Aygo from our local Toyota dealership. This final car's contract will end in February 2019. The dealer has invited us back twice in the past six months to discuss "upgrading" to the a new car, however, the deal has always been very poor in comparison to our existing one. Apparently we have also suffered negative equity on this car even though it has only done 8000 miles (in three years) and is serviced under the dealer service plan, which means the balloon payment would be more expensive than buying an identical car for cash. Would we be better to just walk away and chalk it down to experience? Manufacturers/dealers play PCPs two ways. One way is to make the guaranteed future value over-optimistic, which reduces the monthly payments (or gives them the chance to extract a higher APR on the monthly payments). The other is to make the guaranteed future value pessimistic, which gives the customer equity at the end of the contract to fund the deposit on another PCP, or buy the car and drive away in a car worth more then the final payment. Sometimes dealers operating the former scheme fund the deposit on the next PCP as a disguised discount. But if you're not getting anything advantageous out of your PCP, just hand the car back and walk away. What are the advantages and disadvantages of getting a new car on a PCP? What are the advantages and disadvantages of getting a new car on a PCP? My present car has a guide value of £4620 but is eight years old although its mileage is only 38,000. With a PCP you put down a deposit and a fixed 'guaranteed future value' is put on the car. You then make monthly payments which pay back the difference between the deposit and the future value, with APR interest on both the difference and the future value. When you get to the end of the contract, you can buy the car for the guaranteed future value, use any equity in it as deposit for another PCP, or walk away. Quite a lot of PCPs become 'toxic' because the guaranteed future value turns out to be far more than the true value.